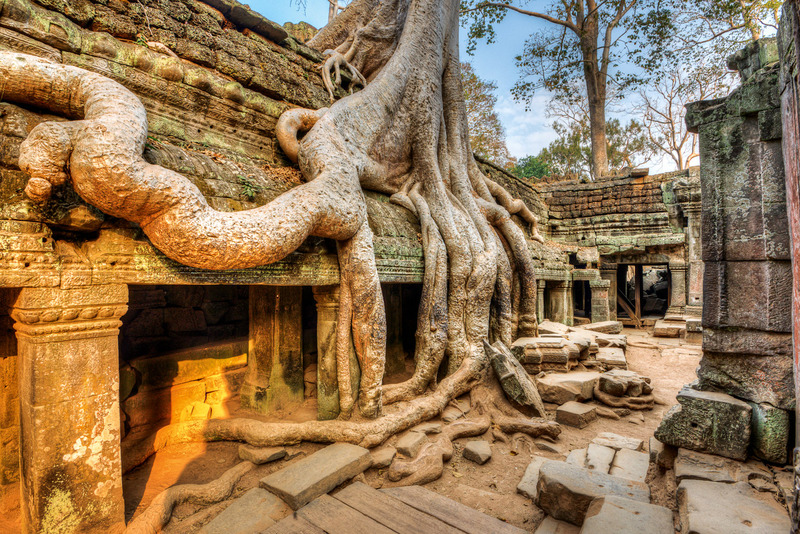 Discover why Siem Reap in Cambodia ranked #85 in our countdown of ‘100 Most Incredible Cities in the World’. The Temples of Angkor – Angkor Wat, Ta Prohm, Angkor Thom, the Bayon and a whole list of smaller lesser known temples, which sprawl over 400 kilometres-square and date from the 9th to 15th century. Travellers can be in real danger of being templed out. Luckily, if you scratch the surface, you’ll find Siem Reap has much more to offer than these ancient structures (as magnificent as they are). Take a boat trip on Tonle Sap Lake, which is the lifeblood to the nation, get a cheap massage, join in the frivolities of Pub Street, haggle at the night market, visit the Khmer Ceramics Centre, tuck into some delicious Khmer cuisine (such as the classic dish, fish amok), and stay at the luxurious Raffles Grand Hotel d’Angkor, a legendary hotel oozing old world charm.